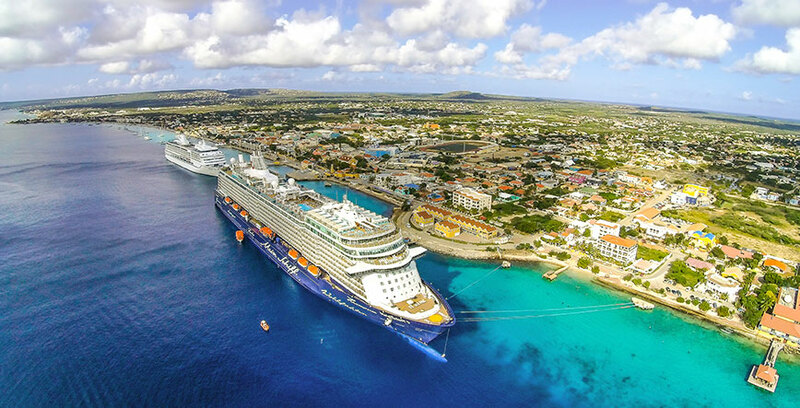 Bonaire’s cruise tourism is growing rapidly. Providing employment opportunities for hundreds of locals. Cruise tourism and makes a significant contribution to the economic development of Bonaire. It contributes with regional growth by diversification, job opportunity, encourages cultural exchange, foreign earnings and strengthening of intercultural understanding and tolerance for both the visitors and the local community. It supports integrity of local cultures by integrating within the cultural aspects. The cruise passengers are granted an opportunity to experience the island as a visitor and should be encouraged to return and become our friend. Every person that will be working in the cruise area must be registered through the website. Must submit the necessary information. Once the information is submitted, you will receive a confirmation e-mail. The documents will be reviewed by the cruise task force and you will receive a confirmation through each respective association. Cruise lines keep monthly scores on each port; this is an indication on how the visitors have perceived the island. This year the Seatrade Convention took place in Ft Lauderdale. Bonaire was represented by Maurice Adriaens General Manager and Xenah Cicilia Cruise operations coordinator for Toursim Corporation Bonaire. On the 1st of February 2018, Bonaire will welcome for the first time a cruise from the Disney Cruise line. Disney Wonder will visit Bonaire for the first time ever.